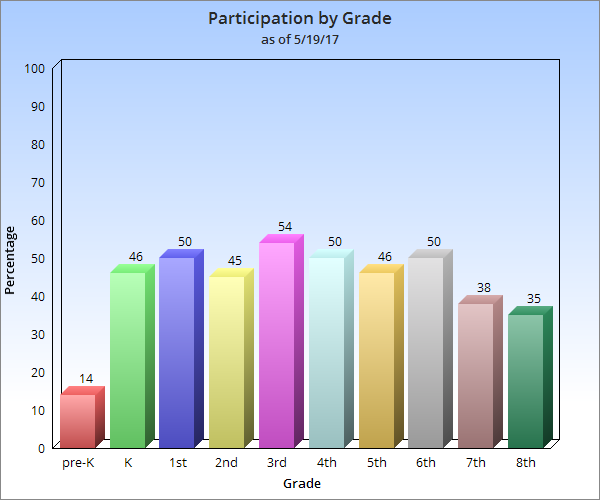 PARTICIPATION MATTERS: What does 100% participation mean? 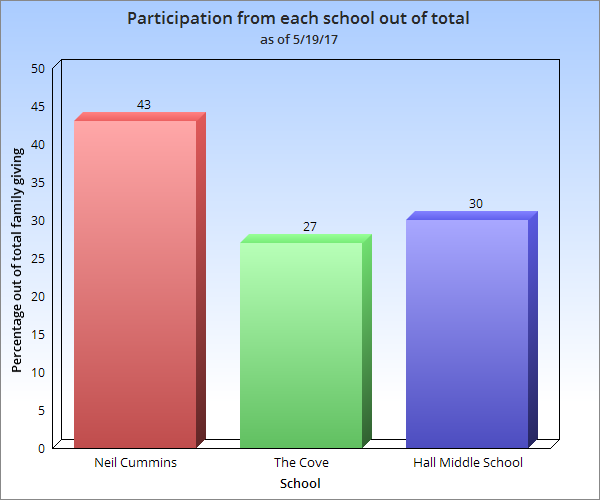 It means that all of our families from The Cove, Neil Cummins and Hall, have made a commitment to financially support our schools. All donations, of any amount make an impact. 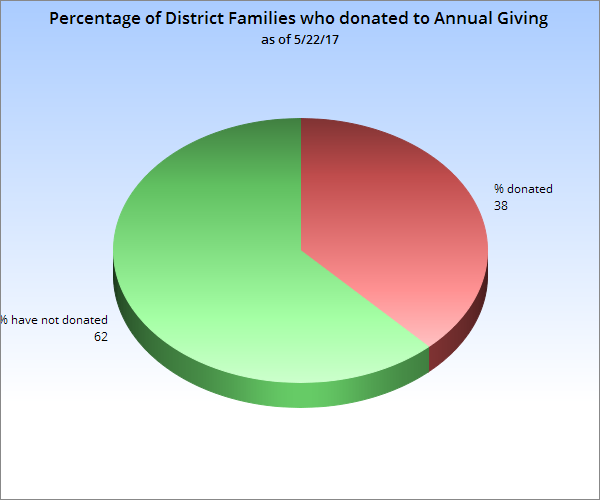 SPARK COUNTS ON YOU: We rely on the support of every family in our District and our generous community partners to help us fund the Music, Art, Science and Technology programs in our schools. Make your donation today to help us get to this year’s goal of $1.2M. THANK YOU TO OUR ANNUAL GIVING FAMILY DONORS! To view the current list, click here. * Families with students who have children at more than one school are included at each site. 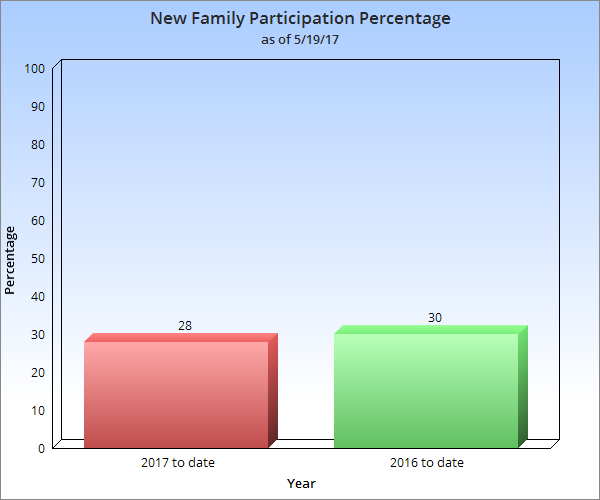 * New Family is a family’s first year in the LCMSD.